Concord Commons is an existing 200 unit, 18-acre, public housing community located near downtown Rockford. 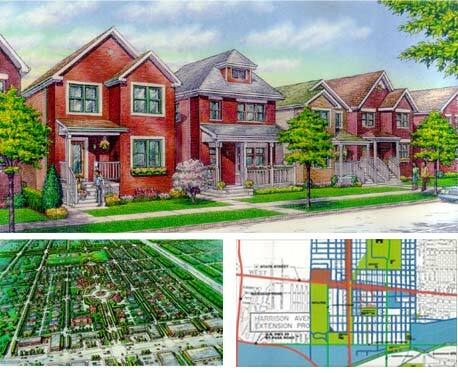 Sonoc Architects was retained to develop a masterplan for the Rockford Housing Authority to revitalize an isolated public housing "superblock". The project objective was to redevelop the community by reducing the density of apartment style multi-family housing, reconnect the neighborhood to the original street grid, provide in-fill housing on vacant lots and revitalize the commercial district along State Street.